Over three days the Melbourne Showgrounds is transformed into an outdoors haven for off road enthusiasts, outback nomads, fishermen and 4x4 lovers. Bringing together over 200 leading exhibitors and retailers, action entertainment and renowned 4x4 industry experts to create a truly memorable family outing. After a long winter where do Victorian buyers go if they need to stock up on 4x4 and camping gear? 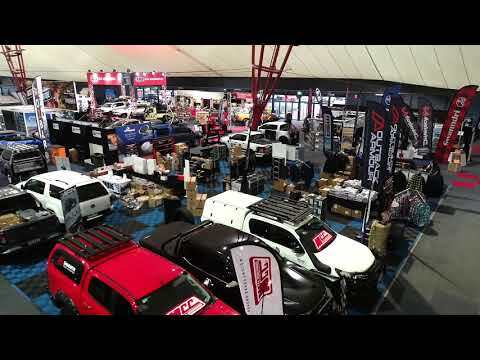 The National 4x4 Outdoors Show, Fishing & Boating Expo. The 2019 show features the latest 4wd products, great deals and a wealth of real inside technical knowledge all accessible at the palm of your hands through the Bargain Hunter’s Guide. This one-stop shop showcases new 4x4 vehicles; the latest 4wd aftermarket accessories; tents; off-road camper trailers; boats and fishing tackle. All of your favourite features are back at the Melbourne Showgrounds including the VW Amarok Proving Ground, Catch and Cook Stage, Waeco CFX Outback Stage and the legendary Action Arena. The National 4x4 Outdoors Show, Fishing & Boating Expo is 3 action-packed days filled with entertainment, education and great bargains. Interested in selling products and services, enhancing your brand or engaging the public at the Show? Find out more about this amazing event. Floor plans, marketing opportunities, show benefits and sponsorship activations. With so much to see and do at the Melbourne Expo, it's a great idea to plan ahead. Keep an eye on what new, exciting features we bring you for 2019. A range of sponsorship opportunities are available to maximise your brand exposure to our highly targeted enthusiast audience. Reach out to the team at the National 4x4 Outdoors Show, Fishing & Boating Expo to answer your questions. Interested in exhibiting at our Melbourne Show?